Travel is not always sunny beaches and wine tasting. 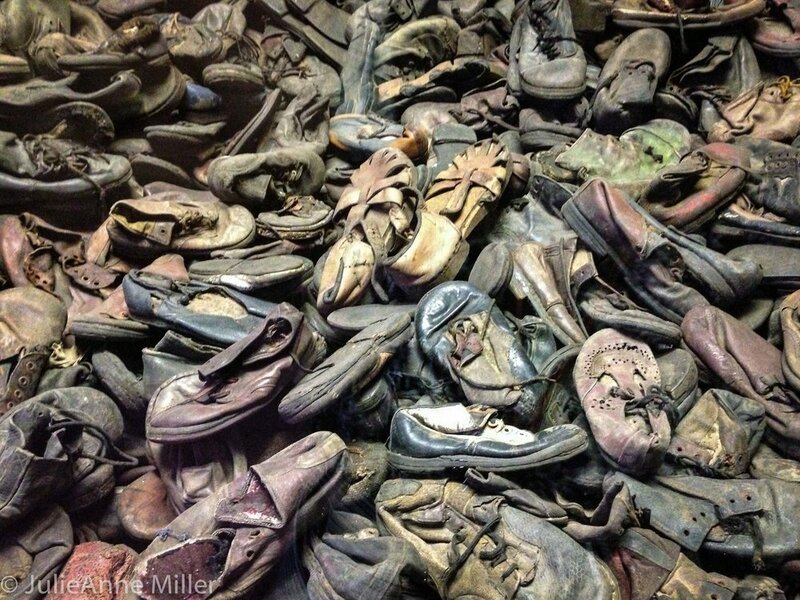 Sometimes the point of travel is to honor and learn from history; to witness the horror of the past and become a voice in opposition to modern reincarnations of evil. 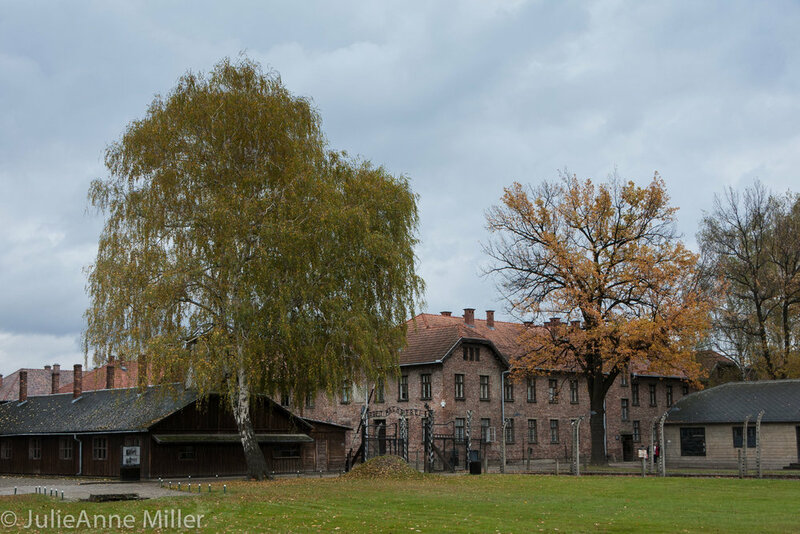 Auschwitz is 2 hours from Krakow. 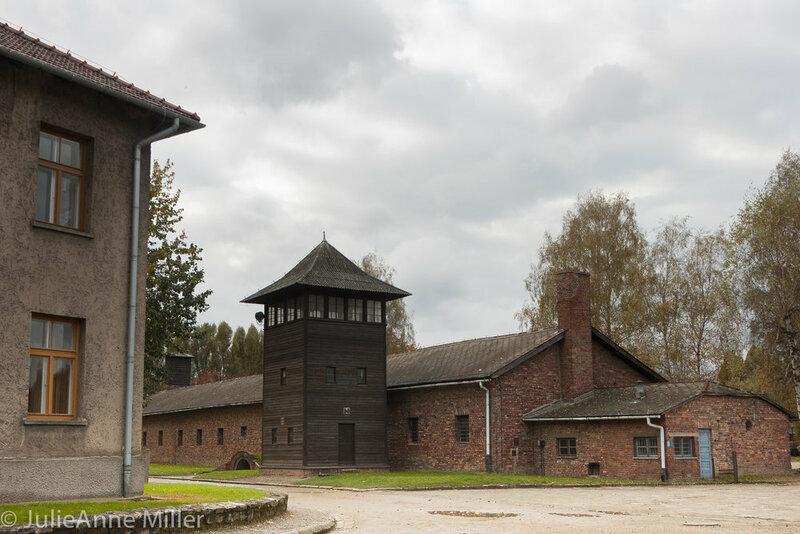 Birkenau is about 2 miles from Auschwitz. 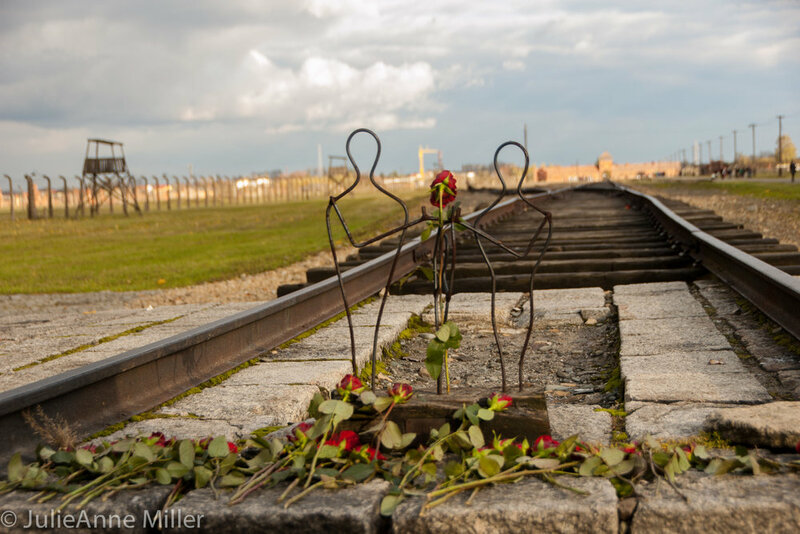 If you visit Auschwitz, it is definitely worth the additional time to visit Birkenau. 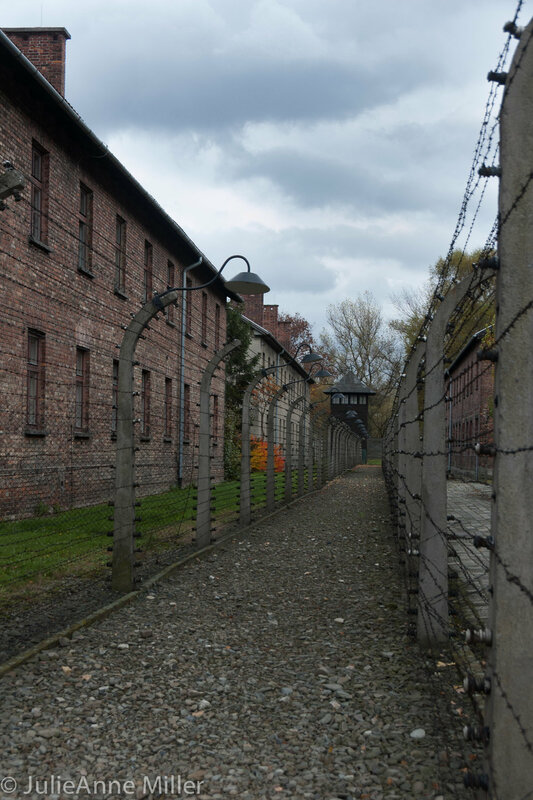 Auschwitz was converted from a military barracks to a labor camp in the early days of World War II. 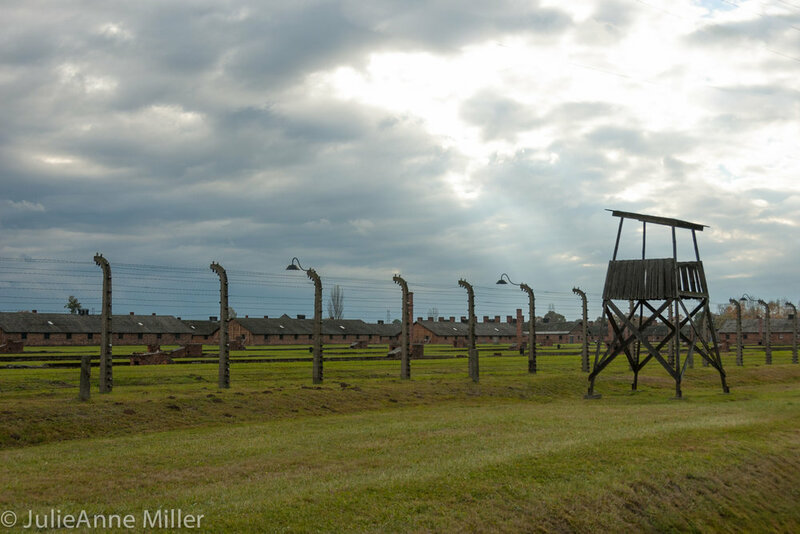 Birkenau was built specifically as an extermination camp; Hitler's "final solution" to "the Jewish problem". 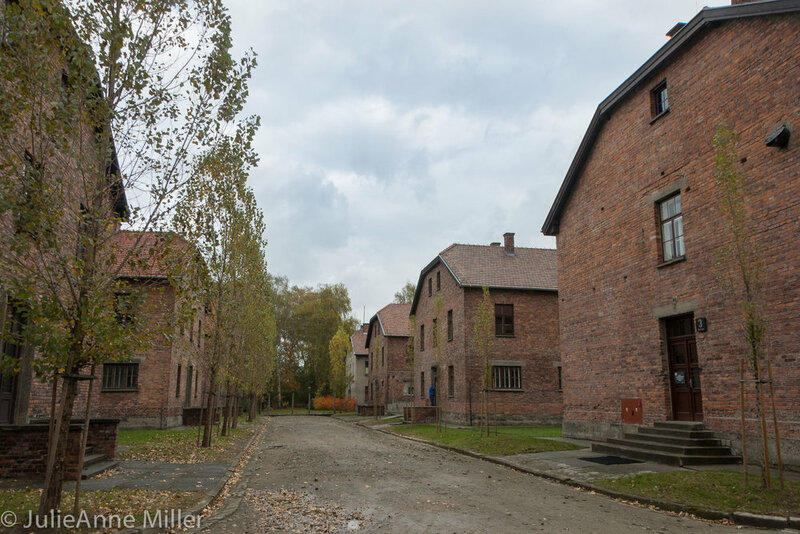 Hundreds of shoddy barracks were built as temporary facilities for Jews doomed for the gas chamber. 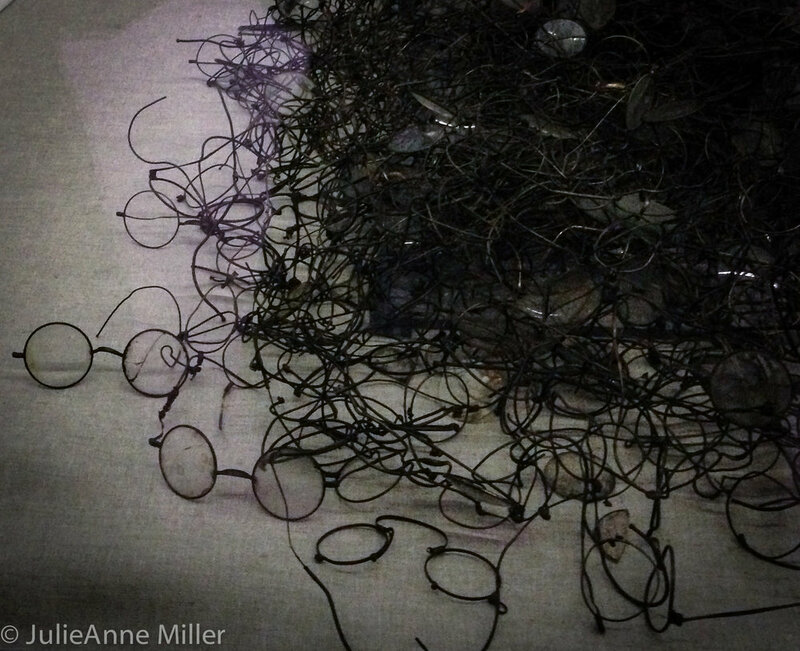 Between 1940-1945, the Nazi's deported 1,300,000 people to Auschwitz-Birkenau. 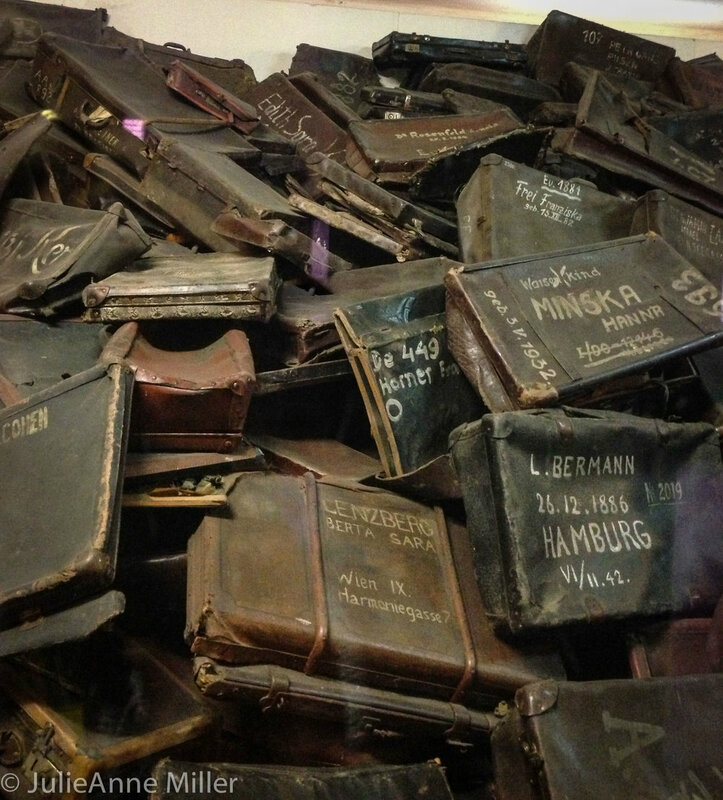 1.1 million died, 90% of the victims were Jewish. 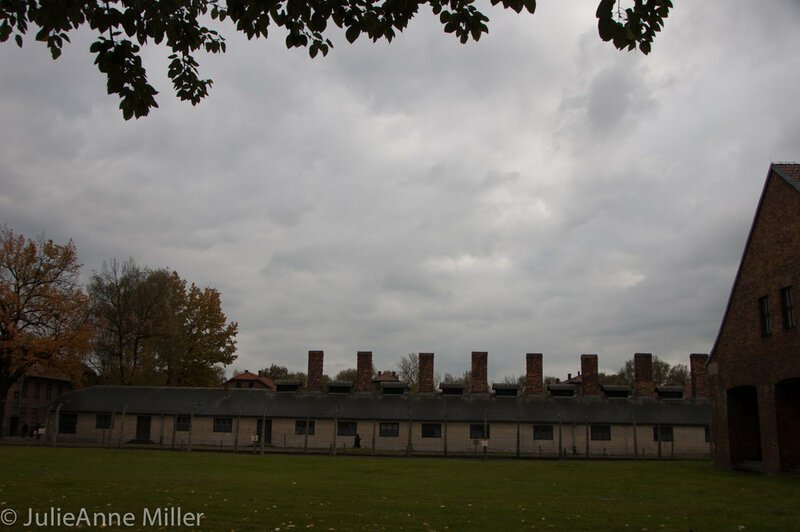 While we walked the grounds of Birkenau, voluminous black clouds gathered. 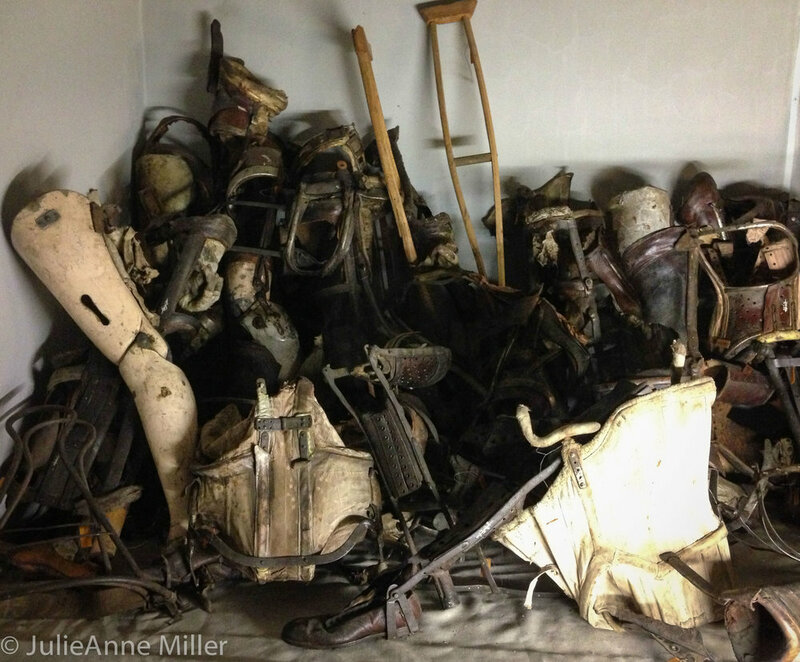 It was closing time and the tour groups had dispersed. The wind became fierce and snow flakes drifted through the air. The entire compound was cast in an eerie orange glow. We stood there in cold silence until the guard beckoned us to leave.